Each week, I’ll provide a quick breakdown of the race through a post called the Top Five — five notable storylines from the just-completed event. Today: The Duels at Daytona. Elliott was making me nervous with those aggressive blocks to blunt the runs coming behind him during Duel No. 1. But it all worked out, as he preserved his pole-winning car and won the trophy. Still, more experienced drivers like Denny Hamlin, Joey Logano and Brad Keselowski seem a bit more polished when protecting a lead — something Elliott seemed to acknowledge after the race. “I learned a lot from (Keselowski), but I certainly don’t have it perfected quite like he does,” Elliott said. Hamlin and Joe Gibbs Racing announced a contract extension with FedEx on Thursday afternoon. Less than seven hours later, the driver was in victory lane celebrating yet another restrictor-plate success — his sixth since 2014, if you count the Clash and Duels in addition to regular-season Daytona and Talladega races. Hamlin played it perfectly at the end, blowing past Dale Earnhardt Jr. by using a big push from Austin Dillon to make a run on the high side on the white flag lap. At least Earnhardt gave his fans a show and eliminated any questions about rust after a long layoff from competitive racing. Corey LaJoie was a onetime hot prospect whose star seemed to fade out when he couldn’t get money to fund a good ride. But he raced his way in to the Daytona 500 — albeit not the way he likely wanted. While racing Reed Sorenson, the driver who he needed to beat for a 500 berth, LaJoie hooked Sorenson and caused a wreck. Sorenson careened into the inside wall entering Turn 1 — eerily similar to Kyle Busch’s 2015 Xfinity crash, except there is now pavement on the path Busch traveled and SAFER barrier at the end of it. Sorenson walked away with his life and health, but not a Daytona 500 spot. Meanwhile, LaJoie said the move wasn’t intentional but didn’t exactly apologize for it. D.J. Kennington became the first Canadian driver in the Great American Race since Trevor Boys in 1988, nipping Elliott Sadler at the line to earn his way into the field. Kennington had to beat Sadler or else Sorenson would have made the race based on qualifying time. So on the backstretch, spotter Robby Benton — a part-owner of the car who let the Gaunt Brothers Racing team use his shop — urged the 39-year-old to get in front of Sadler. Fortunately, Kennington picked the right line and it worked out. “This is huge for Canada,” Kennington said. For the first time since 1981, drivers have accumulated points prior to the Daytona 500. 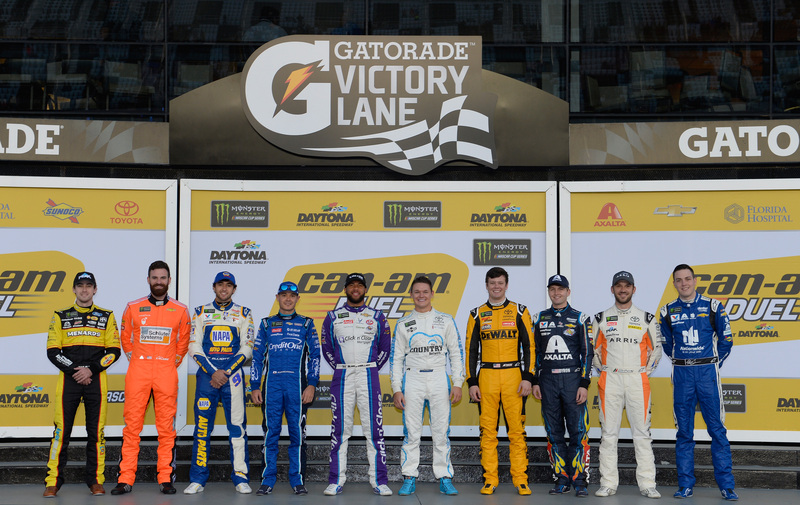 The Duels paid points to the top 10 drivers in each race, and that creates some unusual circumstances heading into Sunday’s race. An example: Cole Whitt (one point after finishing 10th in the first Duel) has more points entering the 500 than Kyle Busch (zero) and Danica Patrick (four) has more points than Joey Logano (two) and Jimmie Johnson (zero) combined. AJ Allmendinger would have had seven points, but he failed post-race inspection and lost all of them — as did Martin Truex Jr., who would have had four. They will start in the rear of the field for the Daytona 500, along with Chris Buescher. Elliott and Hamlin are the co-points leaders after Thursday’s races.